The perfect place to get started! 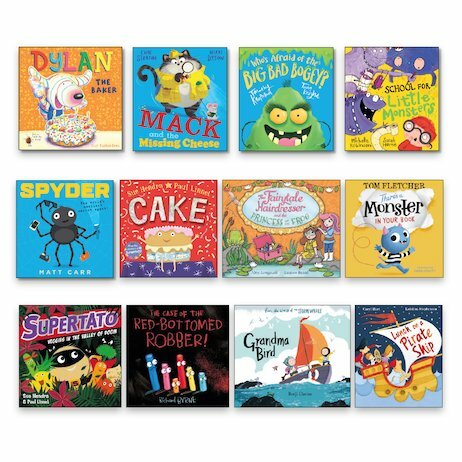 Bright, bold picture books that are simple enough to get little folk started, but exciting enough to keep you thinking and guessing. Oh – and laughing lots, of course! If you’re new to books, it matters that you like what you see. Which is why this pack is so handy. Quality, style and kid-appeal: all the things you need to get hooked in! There are superheroes, monsters and pirates. There are rhymes, mysteries and grand adventures. There are vibrant pictures, big laughs, huge surprises and wonderful pictures. What more could any small person want?